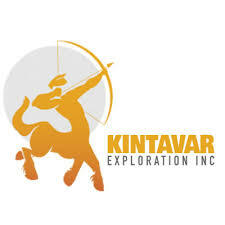 Kintavar Exploration Inc. (TSX-V: KTR) (FRANKFURT: 58V) is pleased to announce drilling results for the eastern portion of the Sherlock zone. Drilling in December focused on testing the four main horizons (A-D) which are stacked together in the Sherlock zone. Drill holes MS-37 to MS-39 were testing the south-eastern extensions of horizon A while hole MS-41 was primarily testing the north-eastern horizon C extensions. Drilling assays of hole MS-46, which was testing horizons B, C and D in the western extension, are pending. “The eastern portion of the Sherlock zone was less worked with the only drilling and trenching to date being the Toby area. The December program validated our interpretation and fully opened up that area. Going from only horizon B to the East to now confirmed A, B and C horizons is a major success for our geological model and gives us the confidence to do another large step out to the East to add more mineralized material in what we believe is shaping up to be a large volume open pit potential project. Next steps would be confirming horizon D to the East and to keep extending the entire mineralized sedimentary sequence as we follow the main structure,” comments Kiril Mugerman, President & CEO of Kintavar.